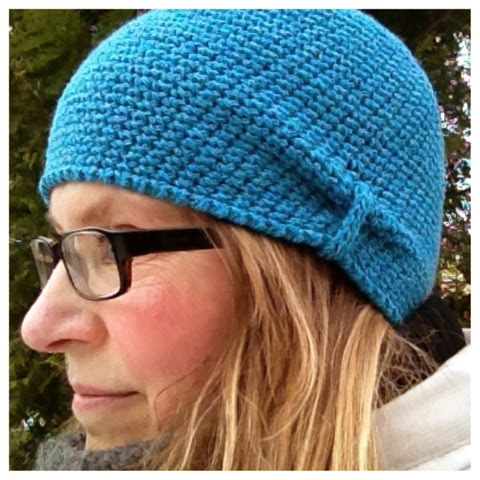 This is a simple crocheted hat which got a little extra by a knitted i-cord. At first you measure the circumference of your head. Then you do a little swatch in single crochet (sc) and do your maths. Find out how many stitches you need around your head. Form a slip knot to put the stitches of the first round in. Move on crocheting without slip stitches to the end of round 2 and chain stitches in the beginning of round 3. 6. Round and every following round: sc and increase 6 st in the explained manner. Take care that the increases are at alternating parts of the rounds. When you have almost the needed amount/width, increase as many stitches as you need to get the calculated amount for the circumference of your head. Now go on simple crocheting. 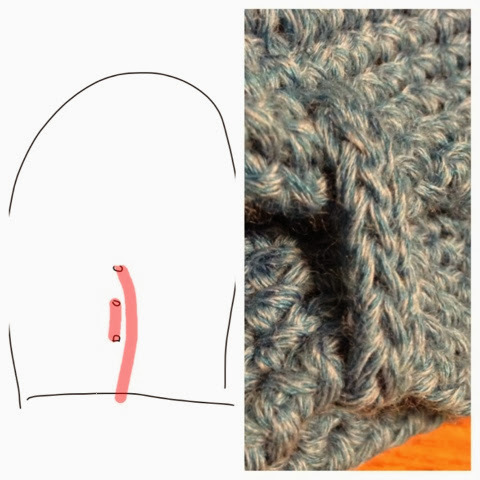 When the hat has the desired length, do 1 round of crab stitch. Sew in the yarn. Knit an i-cord of about 5-6 cm length. 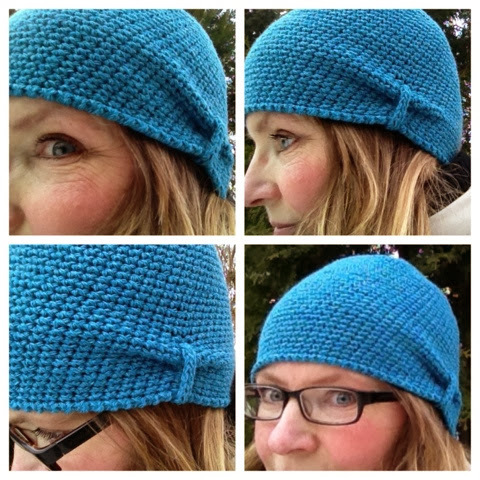 Thread the icord through the hat as it is shown in the pictures and sew the ends together at the inside of the hat. The holes where the i-cord goes through are 2 cm above the brim and next to each other. Have fun with your new hat!